When the cuckoo (Asian Koel) starts singing its mating call, all Sri Lankans know that the New Year is near. 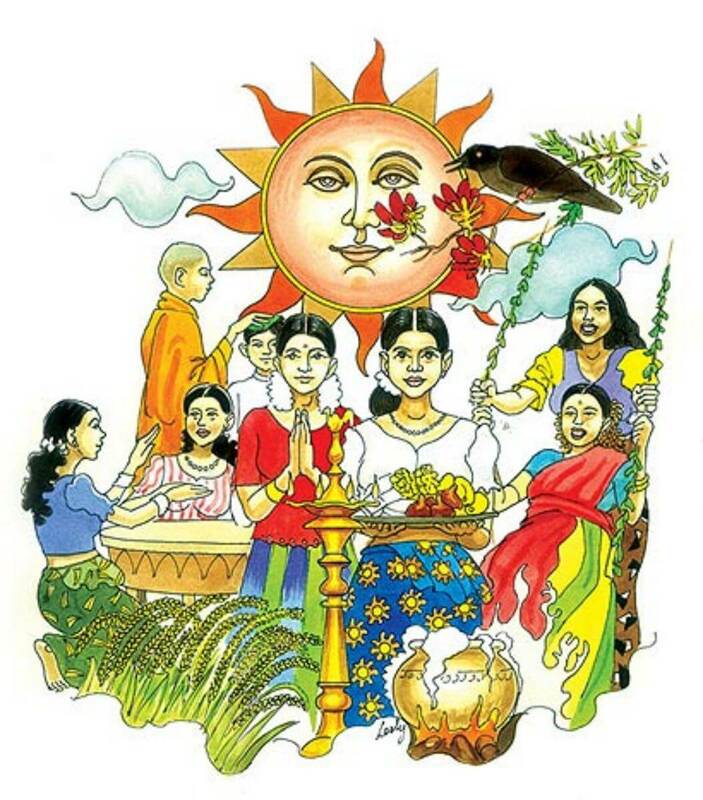 For most Sri Lankans the 1st of January may be the dawn of the new calendar year but the real celebration is during the month of April when the Sinhala and the Tamil New Year dawns. 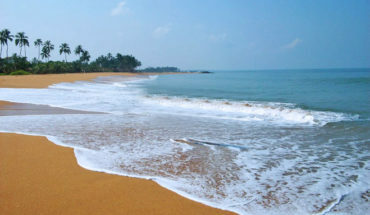 Celebrated by the Sinhalese and Tamil communities, which cumulatively makes up more than 90% of the Sri Lankan population, the New Year, or “Aluth Avurudu” as it is called in Sinhalese, follows the movement of the sun from House of Pisces to the House of Aries that happens mid April. 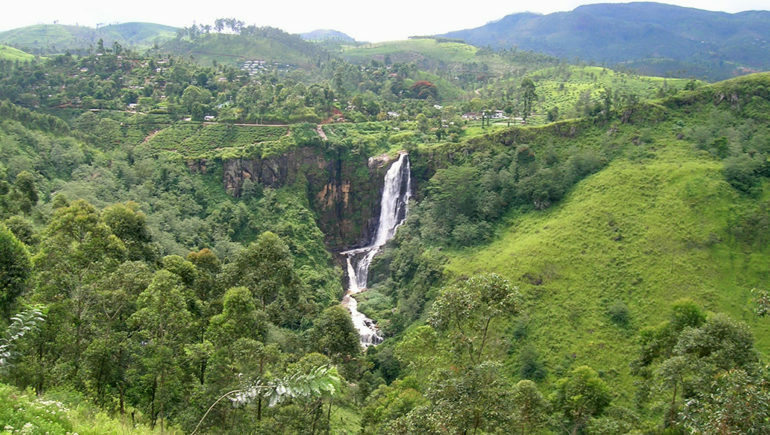 It also marks the end of the harvest season and one of the two times of the year when the sun is directly above Sri Lanka. There are many traditions that both the Sinhalese and Tamil ethnicities have developed around the New Year. Considering the New Year is focused around the movement of the sun, astrology plays a large part in all the traditions surrounding the New Year. The first thing that needs to be determined is when the New Year would dawn. This is usually determined by astrologers by looking at the time it takes for the sun to move between the House of Pisces and the House of Aries (usually about 12 hours and 48 mins). The dawn of the New Year is the midway point between the two Houses. The usually falls around the 13th and 14th of April every year. 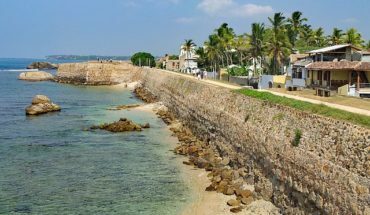 If you are anywhere in Sri Lanka at the time of the dawn of the New Year, you won’t be able to miss it since almost every household will start lighting firecrackers at that exact moment. The firecrackers would be something heard throughout the New Year as they herald the start of each auspicious time. The time during the movement of the sun is considered as a period when people are not supposed to do any actual work. So cooking, cleaning or any other work is usually not done and more religious pursuits are recommended. New Year is first and foremost a period for family to gather and celebrate the prosperous year that is past and wish each other the best for the coming year ahead. All the traditions that make up what is done during the New Year day is connected to auspicious times given by astrologers. The astrologers will also give a certain colour that everyone should wear during the lighting of the heart and another during the mealtimes. 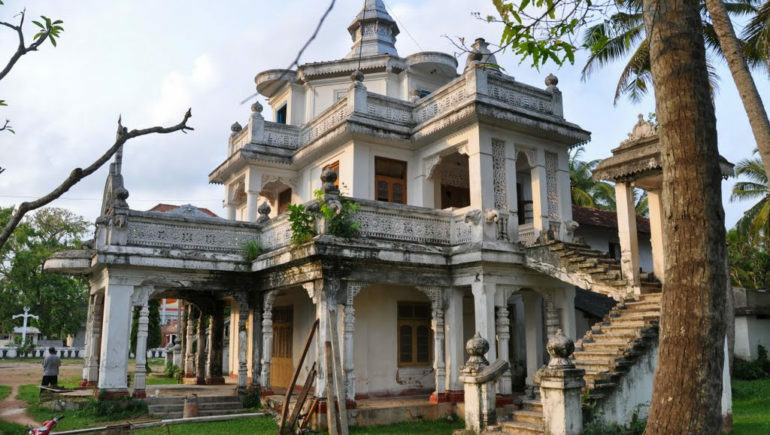 The traditions explained in this article are mainly focus on the Sinhalese community, while there are overlaps there are some specific traditions followed by the Tamil community. The first tradition after the New Year dawns is the lighting of the hearth. Traditionally each family would boil a small clay pot of milk over a makeshift hearth made of three stones or bricks. But with modern times, most people boil their pot of milk over the gas stove! The hearth is where meals for the family are made and therefore milk boiling and overflowing is considered a mark of good fortune for the coming year. Since everyone had stopped doing any work during the ‘neutral period’, there is also a time when one is supposed to commence work. In ancient times, farmers would till their land for a while to start work, but in these days it might entail sending a few e-mails, or making a few calls for work. There is an auspicious time to start eating, and if you’re lucky it wouldn’t be too long after the dawn of the New Year. The New Year table is the favorite part of New Year for many a Sri Lankan. 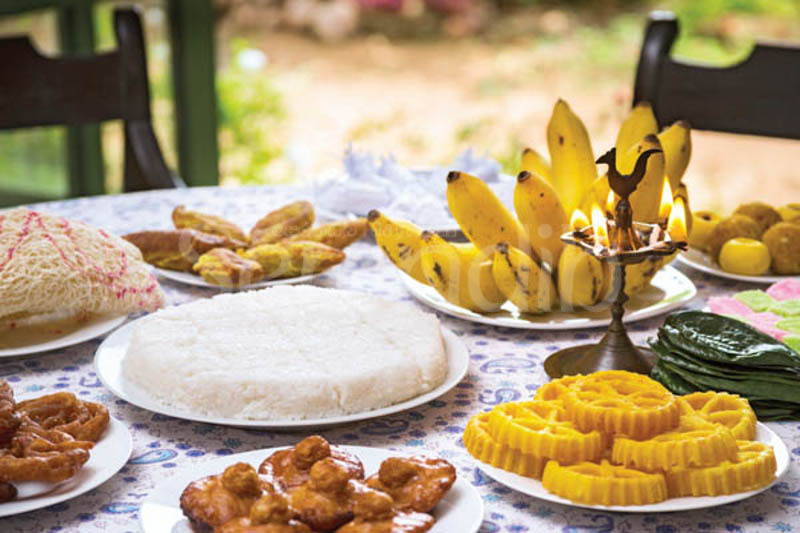 Sri Lankans have quite a sweet tooth and that is very well reflected in the many sweets such as Kevum (a doughy cake made with Treacle) and Kokis (crispy and yellow), that make up the New Year table. But being a rice eating country the meal is built around Kiribath or milk rice, made my cooking rice with coconut milk. Before the meal commences, at the auspicious time, the family; starting from the head of the family would light the traditional oil lamp (which usually has a cockerel on top). During New Year, meals can go on for around 24 hours. You would first eat at home and then your family would come, and you would eat again or you may go visit your relatives, for another meal. Gifts are also a part of the celebration and so is the exchange of money between family members which is usually done by wrapping the money in a betel leaf. 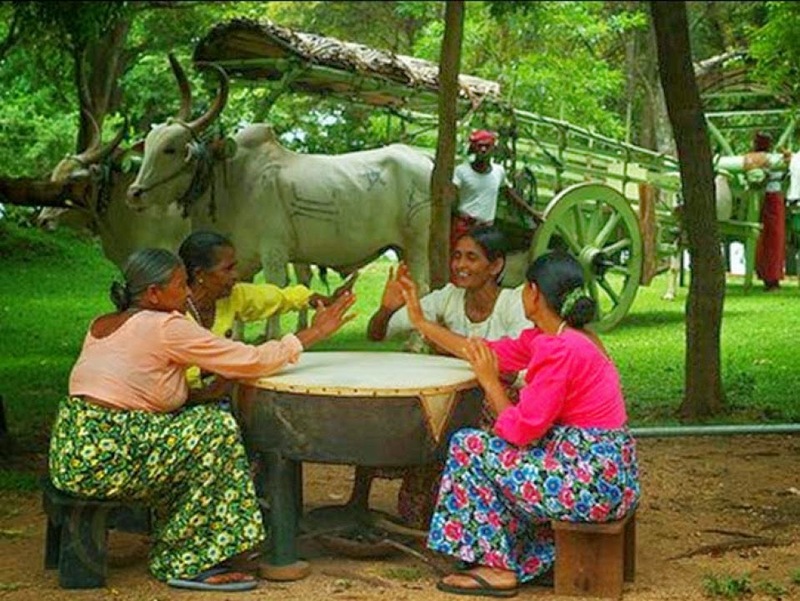 In the villages, the whole community would gather together to celebrate the New Year by playing traditional music and games. In the cities however, this practice, albeit less frequent is still followed by a few who organize New Year Festivals in marks and sports grounds. All in all, the New Year is a time for family, friends, food and a whole lot of fun! 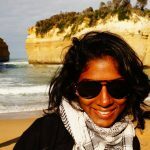 If you find yourself in Sri Lanka during this time, don’t be surprised to find yourself invited by some kind locals to partake in this celebration with them.